Have we built a society where the injustices of the past no longer define the lives of the present? No! I don’t know if you are aware of a squatter camp named after you – it’s Ramaphosa, in the east of Johannesburg, near Germiston. This is a place where I spent four days earlier this month, sleeping in a shack, an experience which has prompted me to write this letter. Mr President, I went to Ramaphosa to grieve with and comfort Ausi Modiehi Chitjana, a lady who was a nanny and who brought up my daughter when she was six months old. Ausi Modiehi lost her son, Shanyana, on Sunday March 31. Shanyana was 35 and he had been sick, on and off, in and out of hospital for at least four years. Ausi Modiehi and I stopped living together five years ago but have remained close family friends over the years. Ausi Modiehi is a South African citizen born in Bekkersdorp but married in Lesotho. She came back to South Africa in 2002 after her husband, a former mine worker at Harmony mine in Virginia, had just died. She left her young kids as a widow to come and find employment in her country of birth. This is when she got a site in Ramaphosa and built a shack and found a job, through referral, as a nanny for my child. She used to go to her shack on weekends and during the holidays. She turned 60 this year and still lives in the same undignified, dilapidated shack where she has been for the past 17 years. I felt a bitter taste in my mouth when I heard your voice of promise in this election time, Mr President. But when? When will these houses be built? How ironic is it that I woke up in a shack – an experience I find unbearable, and Ausi Modiehi, her children, her grandchildren, and hundreds of her neighbours here in Ramaphosa, have been living in these adverse circumstances for so long – to hear Mr Ramaphosa saying this? That was my immediate reaction. What I have just outlined, Mr President, is not the only painful irony of a squatter camp named after you, the former secretary-general of NUM [National Union of Mineworkers], of which Modiehi’s husband might have been a member. The ANC has been in power for the past 25 years. Ausi Modiehi has not reaped the fruits of the 1994 promises of “a better life for all” and the promise of the Constitution which is praised as one of the best in the world and for which you are lauded as one of its midwives. Your name to her is associated with the failure of the ANC and government to deliver on its promises. The other multiple ironies are that the late Shanyana, Modiehi’s son, was admitted to a hospital named OR Tambo, in Boksburg, on March 21, a day that has been declared Human Rights Day. On Sunday March 31 Ausi Modiehi arrived at 3.45pm to find her son lying dead in a hospital bed. His lifeless body with a gaping mouth and eyes wide open was unattended to by the nursing staff. When she arrived with her daughter and her younger sister they tried to wake Shanyana up – they discovered he had already died. They called the nurses, who were nonchalantly chatting away in a corner. They suddenly ran around with a trolley full of medicines, pulling curtains, attempting to resuscitate him. Needless to say they were already late and Modiehi’s family was aware of this neglect and failure by the health professionals. It was very sad to hear Ausi Modiehi saying to her neighbours and other mothers who came to grieve with her that her major regret was sending her son to OR Tambo hospital, when he did not want to go to hospital. There are many squatter camps across the country, Mr President, that have been named after ANC struggle stalwarts since 1990, such as Winnie Mandela in Tembisa, Chris Hani in Ivory Park/Tembisa, Joe Slovo in Cape Town and Hammanskraal, Elias Motsoaledi in Soweto, just to mention but a few. I would like to believe that the people who live in these areas might have associated these names with hope for liberation and delivery of a better life for them and their families. It must be disappointing for them that 25 years later, none of these promises have been realised. At Ramaphosa, Mr President, I witnessed the rat-infested shacks, watched rats running around while we were having lunch, jumping all over us as we sat on the mattress. They run all over Ausi Modiehi when she is sleeping with her grandchildren. I found it difficult to sleep myself, listening to the rat choral noises as I was sleeping in Mzikabawo’s shack, amid the planes leaving OR Tambo airport or preparing to land, hovering over the shacks, since this is obviously considered and known as a sophisticated Aerotropolis. I could not help but feel saddened by this contradiction of the different worlds of the haves flying above these shacks of the have-nots. Sanitation, which is provided in dry arborloos, toilets without flushing water, gave me traumatic flashbacks of my childhood years growing up in the small town of Marquard in the Free State, where we used bucket toilets. 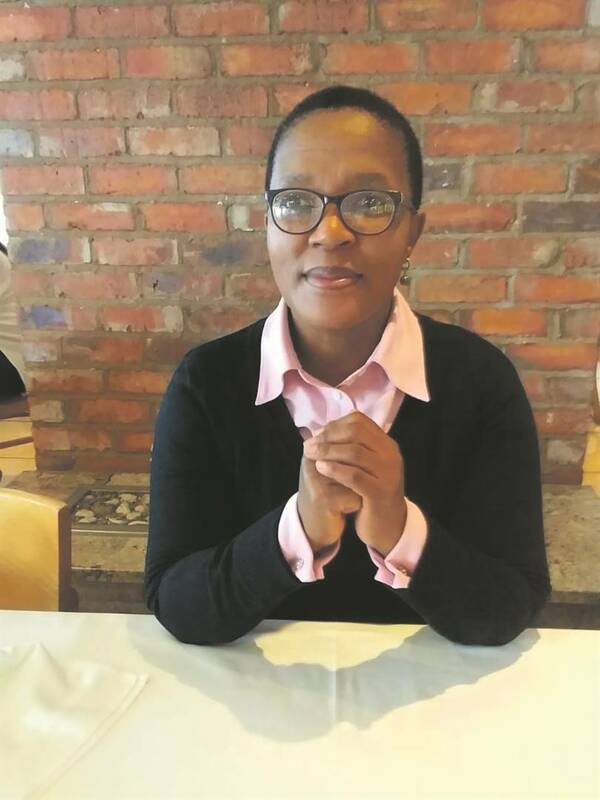 Ausi Modiehi struggled over the years to get IDs for her children since they joined her in South Africa, because they were born in Lesotho, and she could not afford to produce the documents required to prove that they were her children. As a result, she could not include them in her funeral policy. The children, the youngest being 28, remain unemployed to date and resort to informal jobs they get from time to time. I have continued Mr President, to “reflect on the journey of the past 25 years”, words you uttered as you encouraged us to do during this year’s state of the nation address (Sona), that this cannot be the life that the people of Ramaphosa imagined they would still be living. You said that “we must spend this year, the 25th anniversary of our freedom, asking ourselves whether we have built a society in which all South Africans equally and without exception enjoy their alienable rights to life, dignity and liberty. 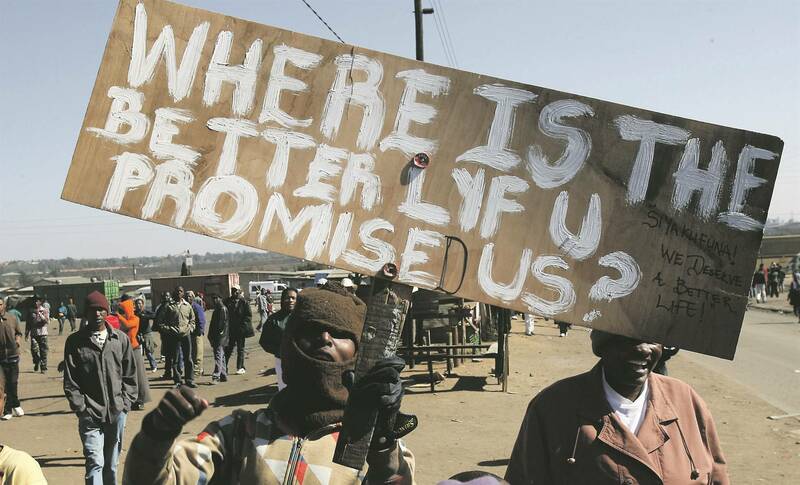 I still wonder, if Ramaphosa residents were to ask you this question, what would you, Mr Ramaphosa, say to them in response? The ANC promised ‘a better life for all’. Has your life improved in the past 25 years? How?